Clara loves Hide and Seek...even if she doesn't totally get the rules. 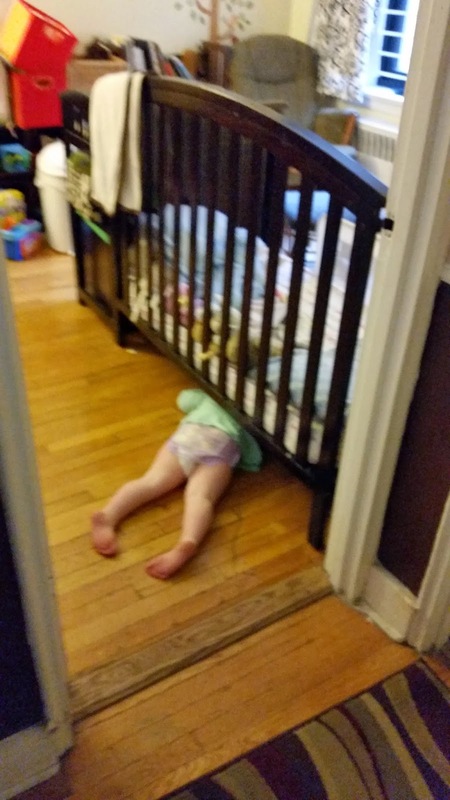 At any moment, she will say, out of nowhere: "Okay...I'm hiding." And then run off. I will count to ten and come try and find her. The thing is her hiding places make me laugh out loud. In our courtyard she will stand behind a leafless, potted bush. Or even better, she will walk up to and stand facing a wall. It seems that if she can't see me, it must be that I can't see her. And if I happen to spend too much time "looking" for her Clara will call out: "I'm right here!" The other day her friend Billie came over for a playdate. Clara declares it's time to hide and runs off into another room. Billie looks at me for guidance. "Go hide with Clara." Billie smiles at me and runs of to find Clara. 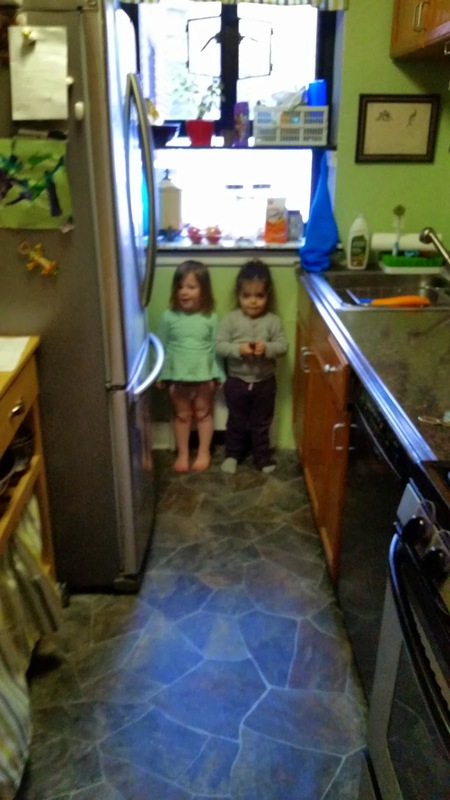 They hid here a few times. while pretending I couldn't see them. 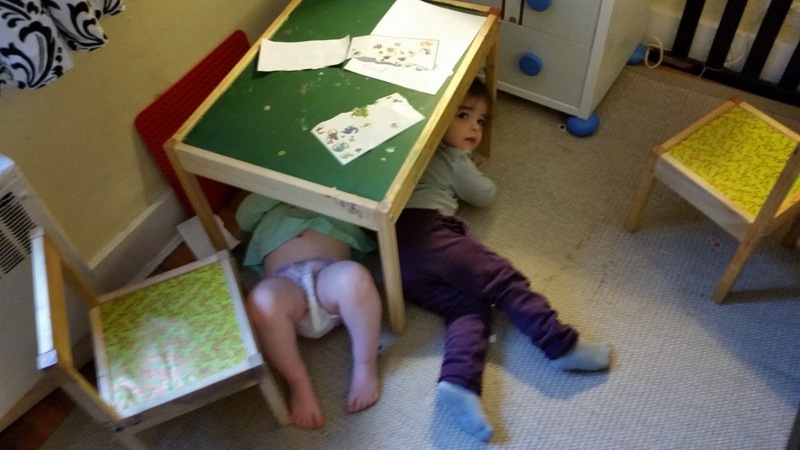 Billie hid under the desk featured in photo one. This is the only time they hid separately. I had to step over Clara, pretending I couldn't see her. As soon as I snapped this photo, they both starting shrieking and chased me through the house. 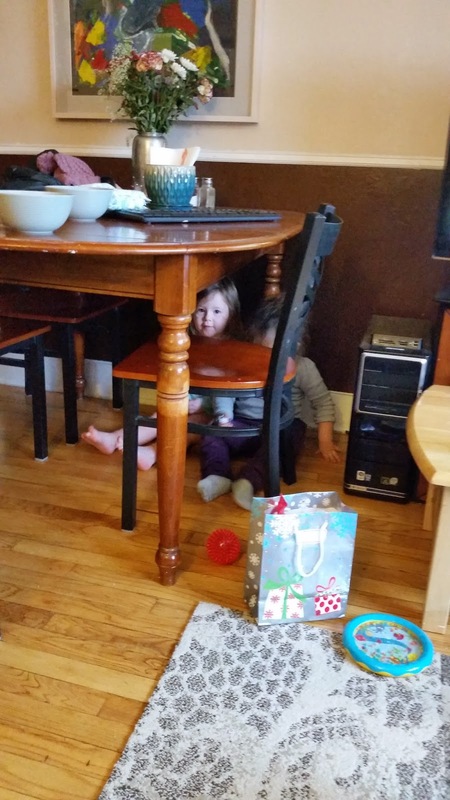 Hide and seek is a fabulous past time with one toddler...with two, it's pure comic genius.